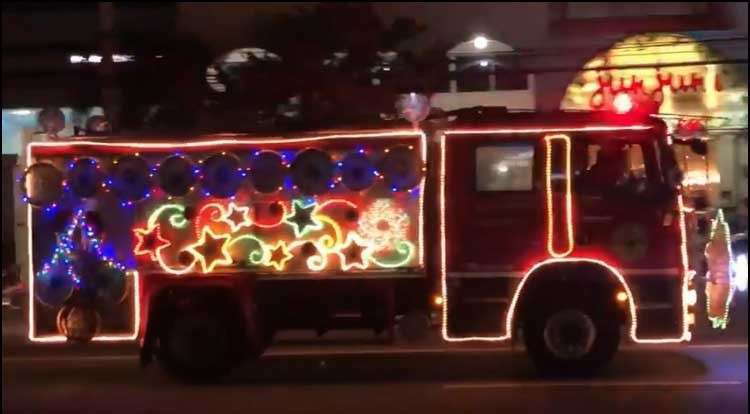 THE Bureau of Fire Protection (BFP)-Central Luzon joined in the festive Christmas tradition of the City of San Fernando by decorating their fire trucks with lights and lanterns during the First Fire Truck Float Competition. At least 12 fire trucks wrapped with colorful LED lights and topped with different Christmas decorations made from recycled materials paraded along the streets of this city on Saturday evening to the amazement of motorists and commuters. Hailing from the Asia’s Christmas Capital, the City of San Fernando Fire Station showcased in its truck the world-renowned “Parul Sampernandu,” while other trucks coming from different cities and municipalities in Pampanga, Bulacan and Nueva Ecija designed their trucks with giant horns and lollipops, Santa Claus and his sleigh, and other Christmas decorations. Fire Senior Superintendent Samuel Tadeo, who conceptualized the competition, said that the activity aims to creatively disseminate the vital information, tips and reminders on how to avoid and respond to fire incidents, especially this holiday season. He added that instead of simply distributing pamphlets, the BFP-Central Luzon opted to bring innovations to the Fire Safety Awareness Campaign by conducting a unique information drive that will surely attract the attention of the public. “While we wanted to showcase the creativity of our firemen in this competition and spread the cheer of the holiday season, our main goal here is to reach out and educate the people of the safety measures in case of emergency,” Tadeo told SunStar Pampanga. 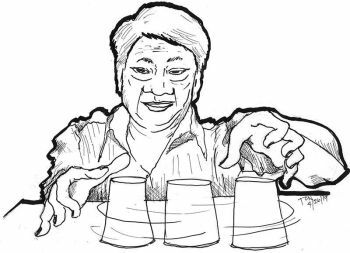 Tadeo said that the activity, which is the first in Central Luzon, also aims to complement the world-renowned Christmas celebration in this city branded as Asia’s Christmas Capital and Home of the Giant Lanterns. Tadeo assured that while a dozen of fire trucks joined in the competition, the whole BFP-Central Luzon remained in full alert and ready to respond to fire emergencies. “There were fire trucks that were on standby in the respective local fire stations in the whole region. We also assured that participating fire trucks were still ready to respond as its main operating unit were not covered by decorations,” he said. Talavera Fire Station bagged the championship title and P10,000 cash prize during the competition, while Lubao Fire Station in Pampanga, and San Jose City in Nueva Ecija were first and second runners-up, respectively.